You can start your acquaintance with remarkable points of the city from a walk on July 9 Avenue. This lovely street was designed in the end of the 19th century. Here you will find beautiful old buildings, luxury restaurants and shops. We should definitely mention Cabildo among architectural monuments of the city. Originally it was built in the beginning of the 17th century, but that building didn’t stand even a hundred of years. The re-building was started in 1725. Today this historic building hosts the exhibitions of Museum of May Revolution and National Museum. A walk to the French Quarter will leave only great pleasure. Here you will find first-class theaters, fashionable restaurants and art galleries. 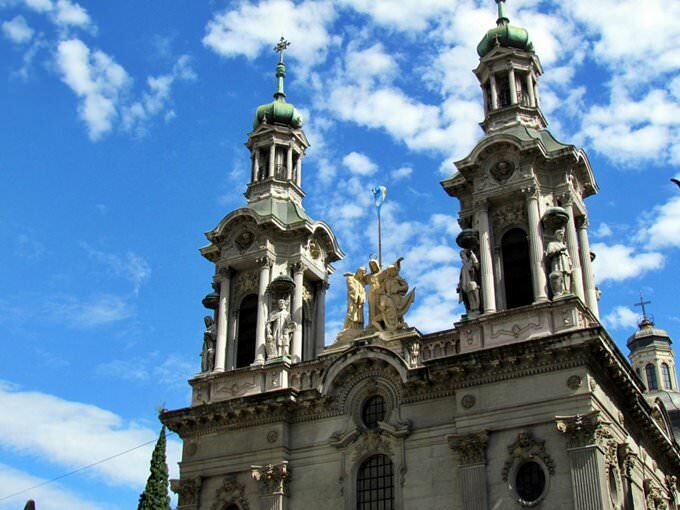 Among the architectural monuments that are worth visiting we should mention famous church Iglesia del Pilar. Near the cathedral is also located an old cemetery, which has become a kind of an architectural landmark. By the way, Cementerio de la Recoleta is considered the most beautiful cemetery in the whole world. This cemetery was built in 1822, and the idea was to create something unusual, and the founders have definitely managed to bring into life that plan. The cemetery can be compared with Versailles – this is a kind of architectural ensemble with original grandiose monuments. The beautiful Centro Naval brings to mind “golden times of Argentina”, especially the first half of the 20th century. The suburb of Vicente Lopez stores another secret of Argentina – it was here that Josef Mengele, nicknamed the Angel of Death, hid himself after the Second World War. A building considered completely unusual for the Latin American capital can be found on Avenue Brasil. We are referring to Iglesia Apostolica Ortodoxa Rusa, the stronghold of Orthodoxy in the Catholic city. The temple is very beautiful and majestic, matching the capital of Argentina. Among other cathedrals, it is worth noting the Basílica del Santísimo Sacramento, which is awarded various epithets, among which are “majestic” and “divine”. Basilica Nuestra Senora de la Merced also stands out against the background of the others. 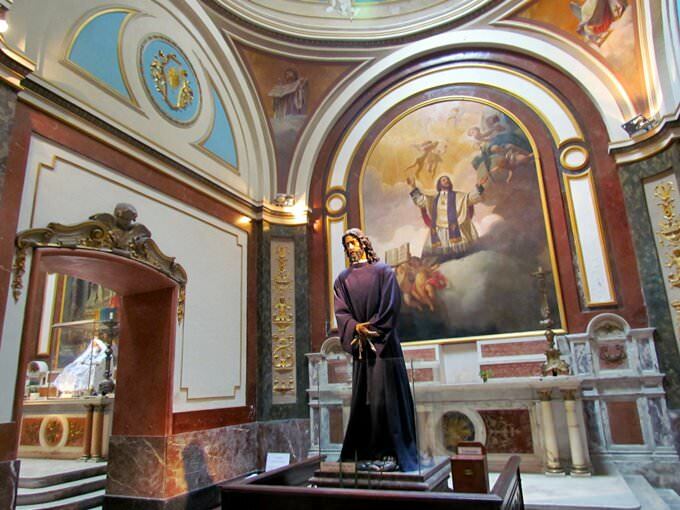 Inside are hidden beautiful works of art (altar, frescoes, and stained-glass windows). In addition, the church was at different times an important historical center. One of the most colorful places in the capital of Argentina is the flamboyant Galeria Bond Street. This is one of the most fashionable places in the city. While passing here, you can stumble on rock shops, tattoo parlors, and be sure to make a selfie there. Another interesting place in the city is Avenida del Libertador. Rightfully considered the most beautiful avenue in the city, on the way here you can meet majestic trees, interesting sculptural structures, fashionable houses, and restaurants. The whole area is built in one style – art deco. Edificio Kavanagh, once the tallest building in the world (in 1934, at the time of its construction), today continues to please the eyes of all tourists and locals. 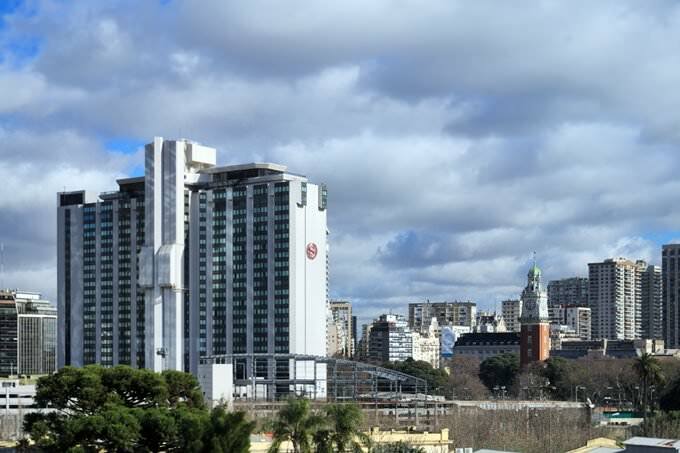 The majestic Congress building, towering over Buenos Aires, looks like its defender. 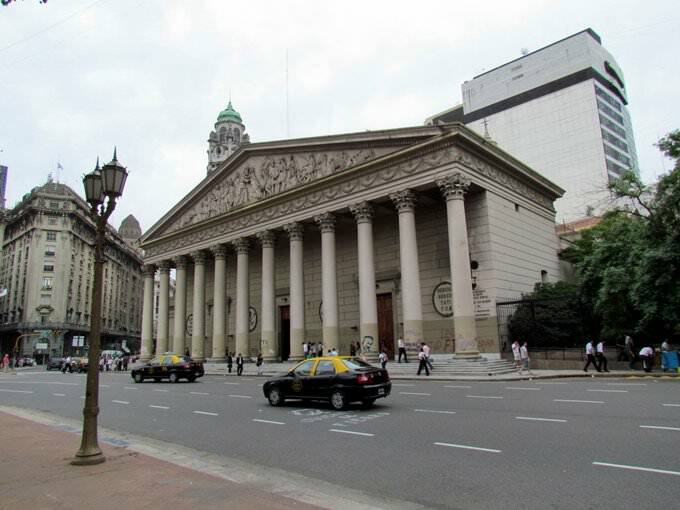 Not far away, you can find Palacio Biol, another magnificent architectural monument, the beautiful Plaza del Congreso de Buenos Aires, in whose territory is located Monolith Kilometer Zero Argentina, as well as the Museo Parlamentario del Senado de la Nación, where you can get to know the history of the state. Another impressive place is Palacio San Martin. Incidentally, sometimes there are free excursions organized here. In the section below, you can get one of our excursion, activities or city discovery tours over Buenos Aires and surroundings. Our website offers 10-30% lower ticket prices, when compared to the offline purchase on the spot. 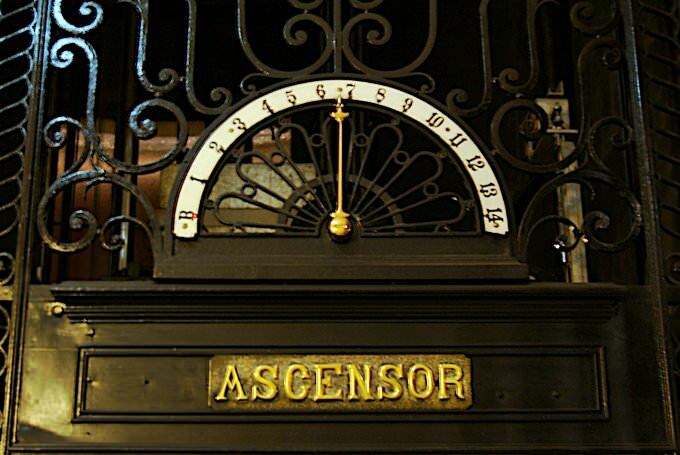 Location on the map: Facts: » Abasto Shopping Center is one of the biggest shopping centers in Buenos Aires. 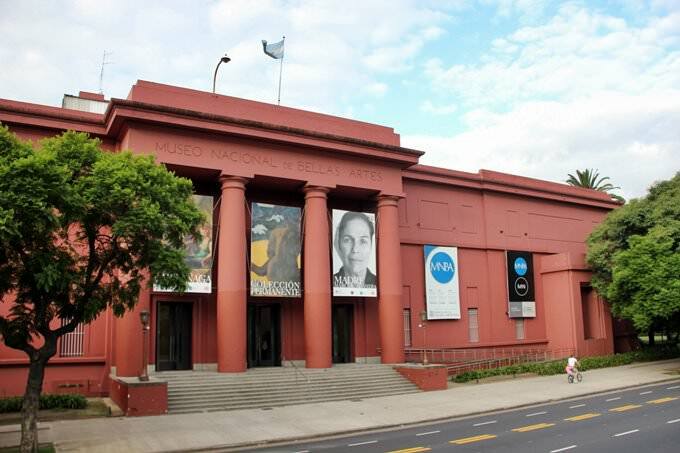 This guide to cultural sights Buenos Aires is protected by the copyright law. You can re-publish this content with mandatory attribution: direct and active hyperlink to www.orangesmile.com. Culture guide to Buenos Aires. 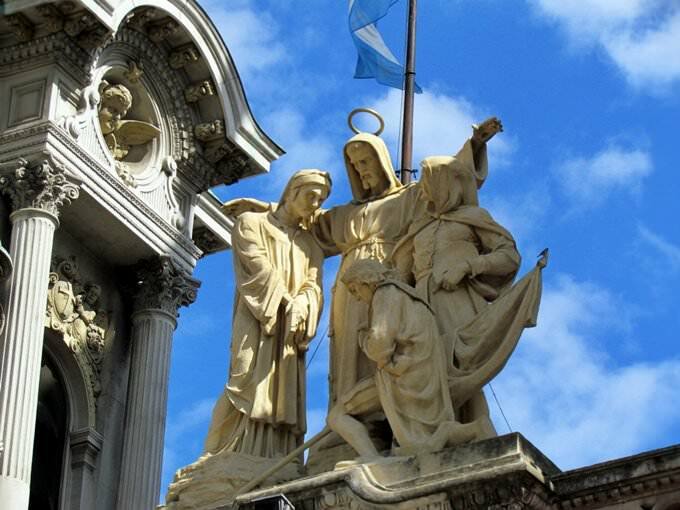 Which fascinating sights to visit once you are in Buenos Aires: temples, churches, museums, theaters and castles. Recommendations (with addresses, phone numbers and links) on the places 'must visit' in Buenos Aires. Plan your own city excursion by using this page info!